The vineyards of Old Bridge Winery are located on the right-hand bank of the Arpa River, next to the little village of Arpi, at an altitude of 1250-1300m above the sea level. 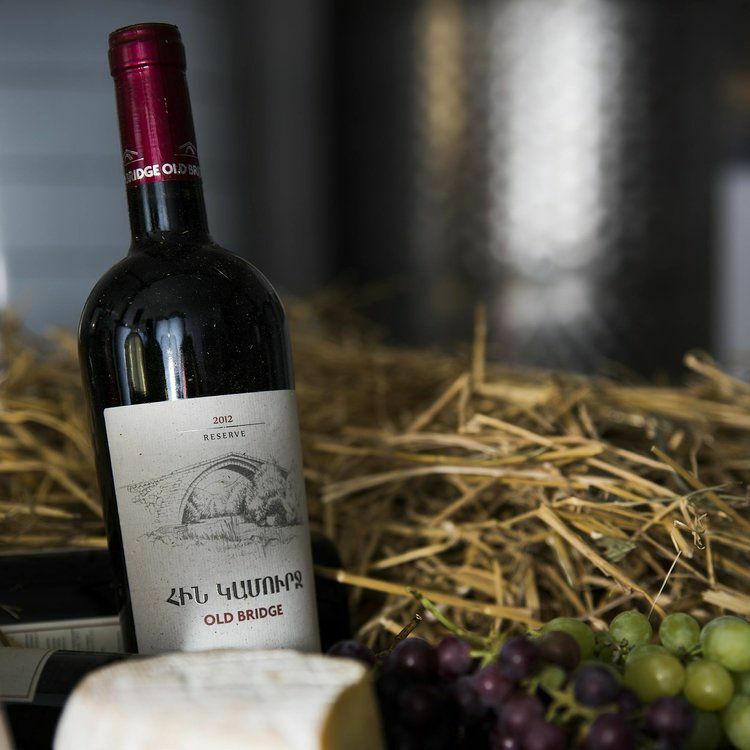 “When we first visited the region of Yeghegnadzor, where we had decided to found our vineyards, there was only a mountainous deserted area which had never been cultivated before. It was rather hard to imagine and believe that one can create a fruitful vineyard there”, tell the founders of Old Bridge Winery. “The seedlings were meticulously selected, in order to grow the high-quality Areni grape”, they continue. 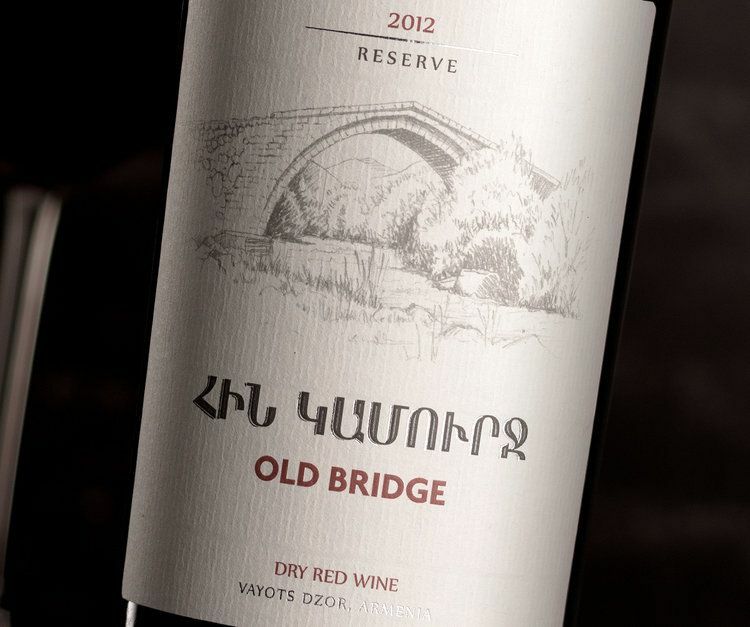 Traditional Armenian and modern winemaking technologies and equipment are combined in the production Old Bridge wines. The grape is carefully washed, sorted and only the best and mature grape is selected. After squeezing the grape, the mash is placed in a container of stainless steel for the subsequent fermentation. High-quality wine yeast of Danish origin is used for the primary (alcoholic) and secondary fermented milk (low-lactose) fermentation. During fermentation, the temperature is strictly controlled and kept within acceptable limits to provide nutritional, flavor and color qualities of the wine which are the essentials of a good wine. After obtaining high-quality wine material, it is poured into metal containers and subsequently, the precipitate is filtered off at least twice and poured into 350 liters oak barrels. The maturing process of the wine in barrels should last at least 1.5-2 years. After bottling the wine ''rests'' for another 4-6 months before getting to the market. In wine barrels as well as in bottles the wine is kept at a temperature of +12 ̊C to +18 ̊C degrees and at an appropriate humidity level.